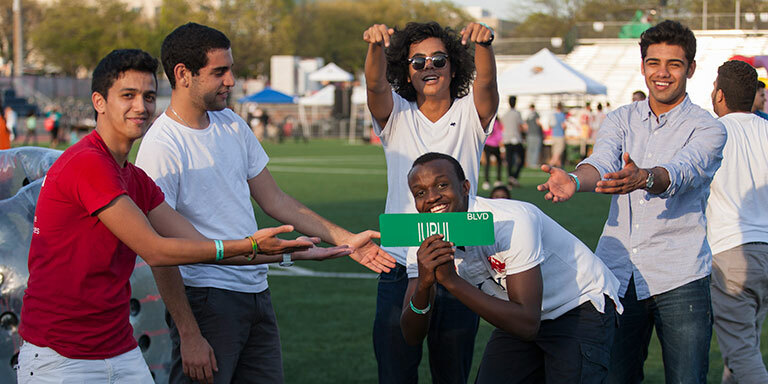 What does a welcoming campus for students look like? How do we want students to experience IUPUI as a welcoming campus? 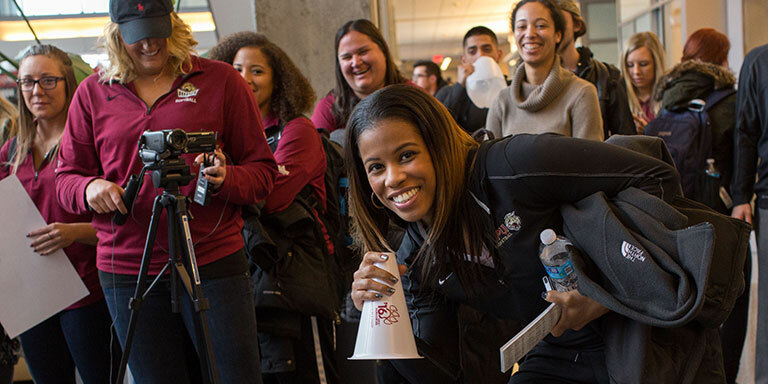 What are the present ways IUPUI provides a welcoming campus for its students? How do our peers and other aspirant institutions create welcoming conditions for students? Where are opportunities to strengthen or improve our approaches in welcoming students to IUPUI? How can we foster a greater sense of community, connectedness, belonging, and pride in IUPUI by students? How can we create a welcoming environment to support the “whole life” of students, including health, leisure, education, career marketability, and other key areas? In what ways can our policies, practices, and processes be enhanced or revised to achieve a more welcoming campus experience for students? How can our various units, offices, committees, and councils work with each other in order to strengthen our culture toward becoming a welcoming place for students? What are some indicators we should use to determine our progress and effectiveness toward becoming a more welcoming campus for students? Specifically, what are some recommendations concerning things IUPUI should continue doing or consider changing to be a more welcoming campus for students? 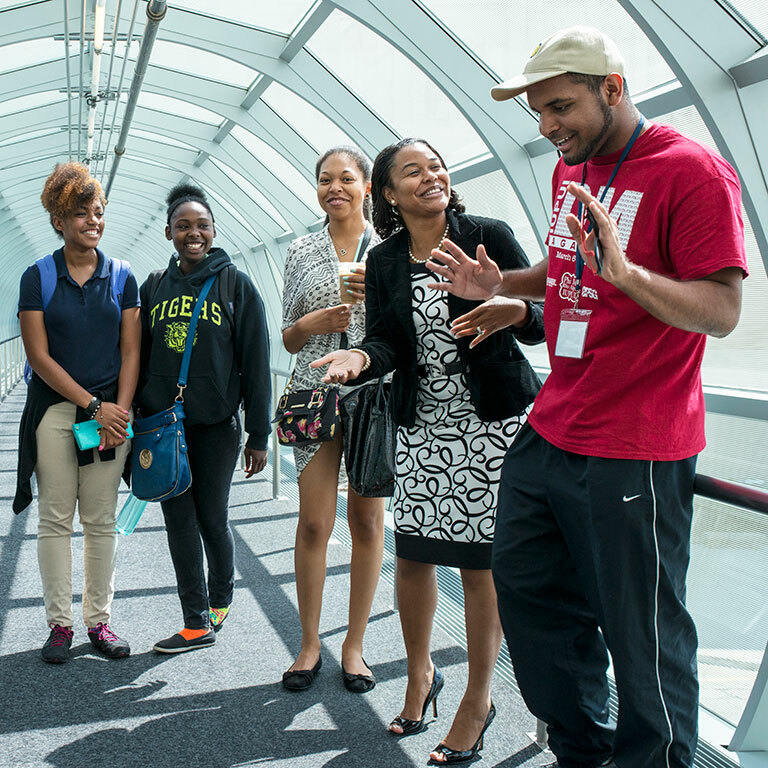 How can we provide opportunities for students to become invested in IUPUI? Student success is a key element in IUPUI’s strategic plan, with student recruitment, retention, learning, engagement, and timely persistence to degree completion among the key goals and objectives. Meaningful relationships between students and their peers, faculty, and staff members can all contribute to a sense of connectedness and belonging. Active and continual engagement on campus and in the community can also strengthen belonging. Additionally, the ease with which students can navigate processes, resources, and services on campus can determine their overall sense of belonging and satisfaction with IUPUI. Several existing councils, committees, and offices work on various matters related to student success, and each has a specific role and function. The purpose of this task force will be to bring together the perspectives from these entities to focus on the ways in which IUPUI can create a more welcoming campus for students. This can occur by identifying opportunities for greater collaboration across campus, areas of strength that should be continued and expanded, and areas we are not presently addressing but should consider, all for the purposes of strengthening our welcoming campus culture.